Wayne Shorter, photographed in 2014. The famed saxophonist’s ambitious new project, Emanon — encompassing three discs of interweaving jazz explorations and orchestral arrangements, with an accompanying graphic novel — was released Sep. 14, 2018. Wayne Shorter likes to tell a story about going to see Charlie Parker, the mercurial titan of bebop, sometime around 1951. Shorter was 18 at the time — a saxophonist, like Parker, and a bop obsessive already gigging around his hometown of Newark, N.J. He headed across the river into Manhattan, where Parker, colloquially known as Bird, was headlining at Birdland, the club named in Parker’s honor. What stuck with Shorter most about that evening was a passing quote in one of Parker’s solos: a scrap of melody from Petrushka, the Stravinsky ballet. It was just the sort of detail, brisk and specific, that probably went unnoticed by most listeners in the room. For Shorter, it rang out like a coded message on a private channel. Shorter’s new magnum opus, Emanon, which Blue Note is releasing today, inhabits the same mysterious frequency. Encompassing three discs of music (just over two hours) and an original sci-fi graphic novel, the project is a grand statement that seeks to blur distinctions between the premeditated idea and the spontaneous gesture, or between “classical” and “jazz” as they’re usually framed. With a title borrowed from Parker’s contemporary Dizzy Gillespie — “Emanon,” or “No name” spelled backwards, was a piece in Gillespie’s big-band repertory — it recalls the gleaming vision of modernity that bebop once embodied, with an additional tether to both orchestral and pop-culture traditions. Long before those worlds routinely found common purpose, Shorter was drawing these connections, on his own creative terms. Shorter’s vision for Emanon is as unabashedly heroic as any Marvel epic, though a good deal more esoteric and high-flown. The graphic novel, which Shorter created with artist Randy DuBurke and screenwriter Monica Sly, introduces a character named Emanon, “a rogue philosopher” who conquers fear and oppression in what seem to be a series of dystopian parallel worlds. 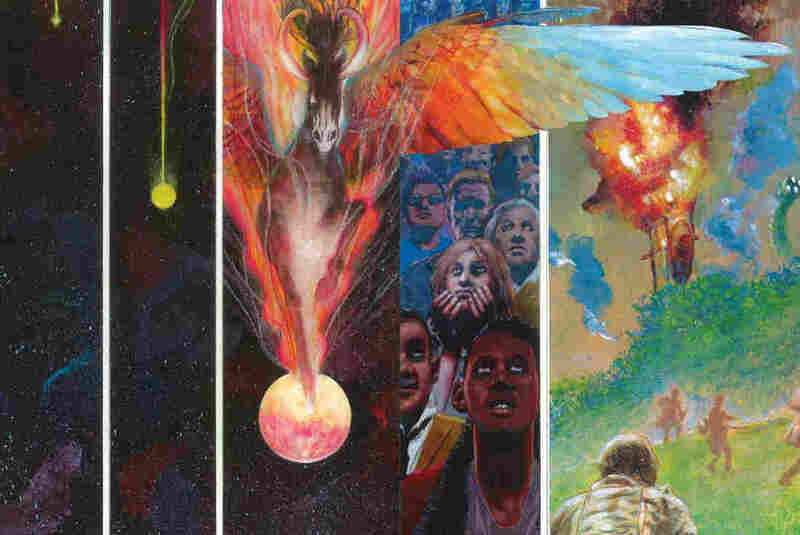 At various points in the comic, Emanon is a resistance fighter, a liberation soldier, and a free-speech crusader. One plot line has him commandeering the print warehouse of a metropolitan newspaper, in order to publish a subversive front-page headline: THE MULTIVERSE EXISTS! (Among the things to savor about this alternate reality is the fact that print media still rules the day.) The newspaper is called The 3 Marias, which has a musical corollary in Discs 1 and 2 of Emanon. In fact, “The Three Marias” is a piece that Shorter first unveiled on Atlantis, his fusionesque 1985 album on Columbia. (As with a comic-book empire or a major movie studio, he has become an expert scavenger of his own intellectual property.) Disc 1 of Emanon consists of a suite whose four movements — the others are “Pegasus,” “Prometheus Unbound” and “Lotus” — loosely correspond to prompts in the graphic novel, though it’s probably not worth straining to make sense of them. But the music on Disc 1, which Shorter arranged for the Orpheus Chamber Orchestra, warrants close attention. Heraldic and bounding, it carries echoes of Aaron Copland, John Williams and the English symphonist Ralph Vaughan Williams — composers given to heroic implication. The marshaling of strings, woodwinds and brass in the orchestra is deftly achieved, though in a somewhat conservative framework. It’s a competent expression, not any sort of redefinition. But there’s a thrilling, Shorter-esque character in the writing, a sense of self that goes beyond his darting exclamations on soprano saxophone. “Pegasus,” which Shorter has also previously recorded in a version with Imani Winds, extrapolates on a motif he first introduced, in miniature, more than half a century ago: most seasoned jazz listeners would recognize it as the fanfare from “Witch Hunt,” which opens his most celebrated album, Speak No Evil. My guess is that many devoted listeners of orchestral music will find nits to pick in Shorter’s suite. Just before he took the Orpheus Chamber Orchestra into the studio to record Emanon, Shorter presented it in concert at Carnegie Hall. I found the performance to be enthralling, but Corinna da Fonseca-Wollheim, in her review for the New York Times, was more equivocal. “The close harmonies that in a quartet setting create vibrant, lightly pulsating textures turned muddy in Mr. Shorter’s writing for chamber orchestra,” she wrote. But the most sensible way to proceed might simply be a form of surrender — to the discursive energies of the group improvisation, which can take even the players by obvious surprise. Pérez tosses in an Afro-Latin montuno every now and then, and lets it dissolve; Blade plays stealth bomber with his crash-cymbal hits. A medley of Shorter’s “Lost” (from The Soothsayer) and “Orbits” (originally heard on Miles Smiles) takes shape like a column of billowing smoke. And on a piece called “Adventures Aboard the Golden Mean,” Shorter states the melody up front, on soprano: a terse, logical phrase, though he ends it with a wild yawp, as if he’d been setting one foot in front of the other and just happened upon a banana peel. There’s a barely-hidden meaning in this exchange, which may or may not have been intentional. 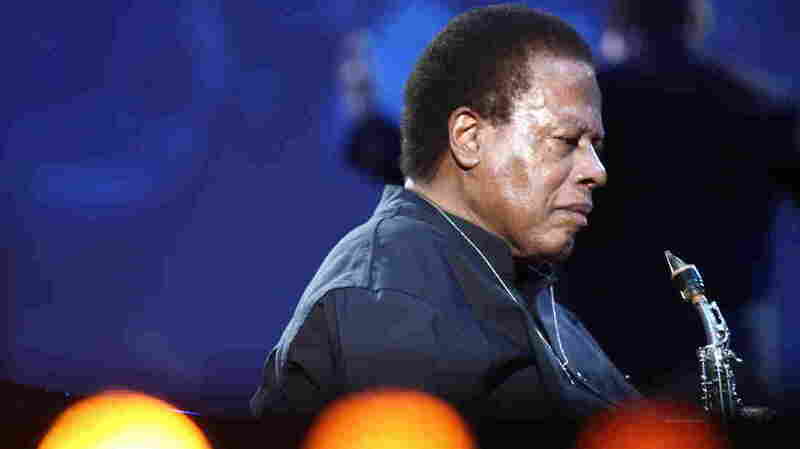 Wayne Shorter recently turned 85; he’ll be honored at the Kennedy Center this year. He’s easily one of the most august figures in our current jazz firmament. But he’s determined to keep his exploration rooted in a volatile spirit of play. Emanon is available now via Blue Note.